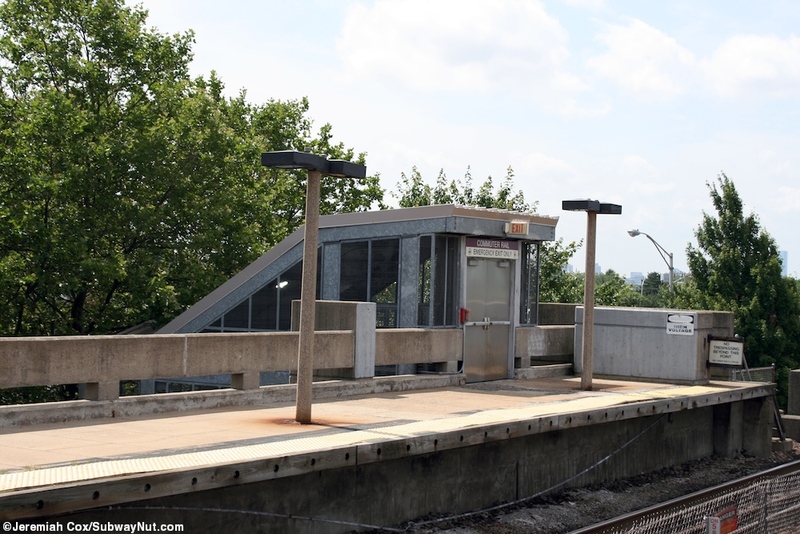 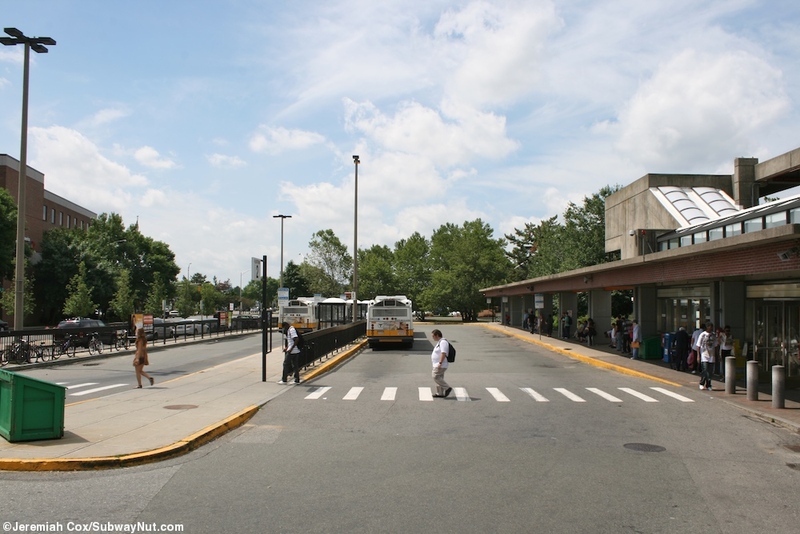 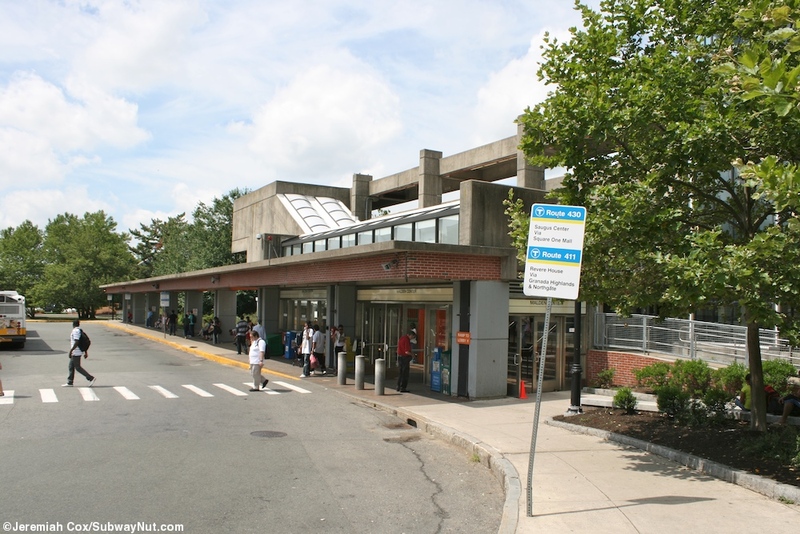 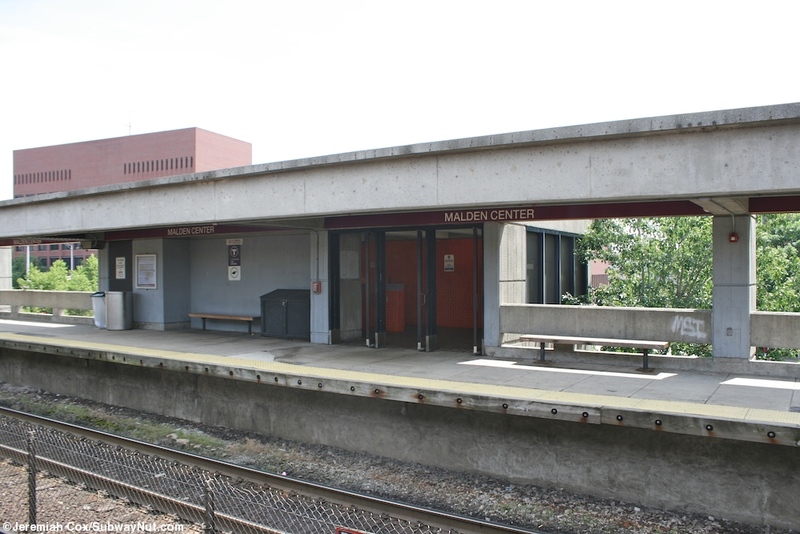 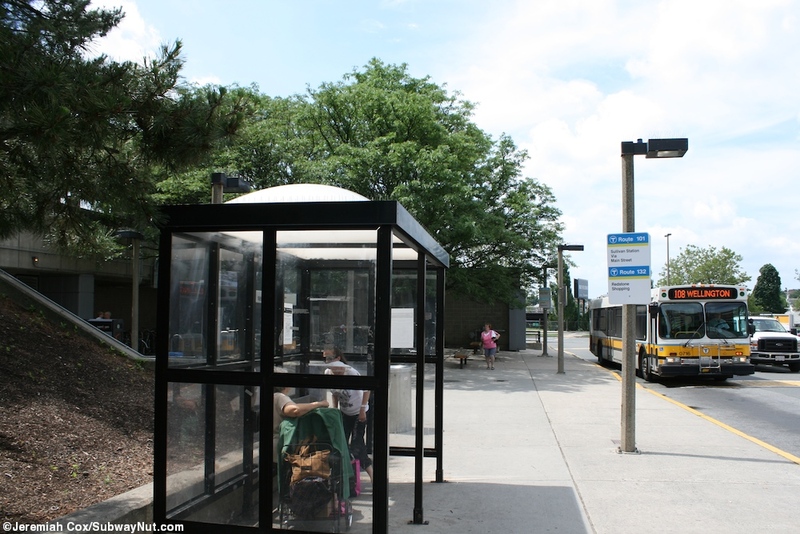 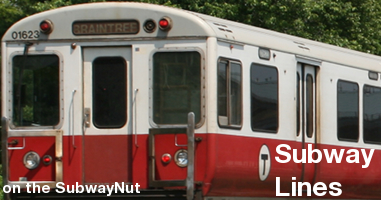 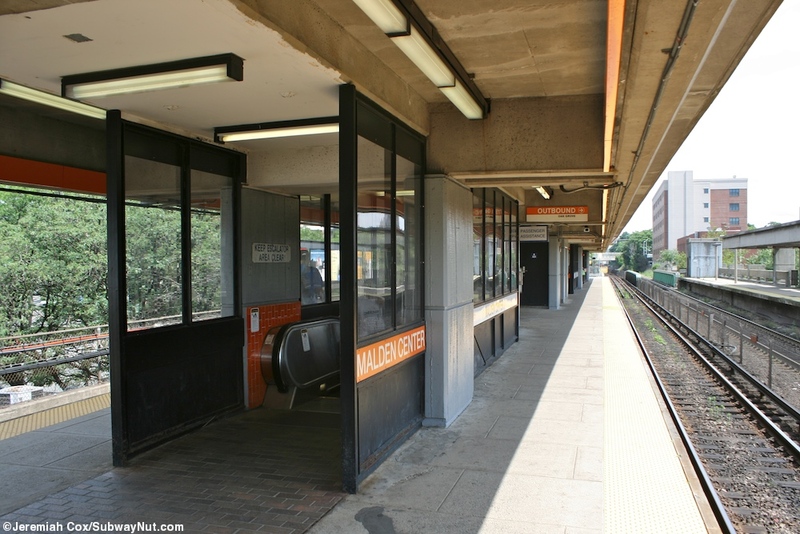 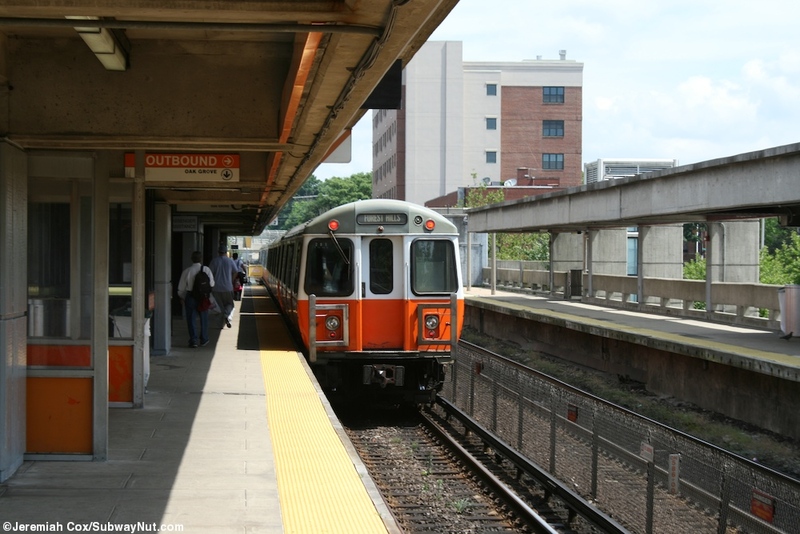 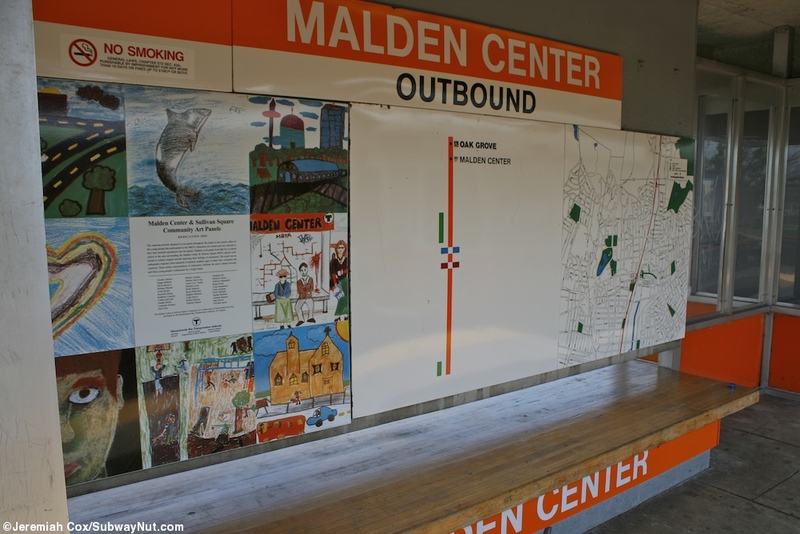 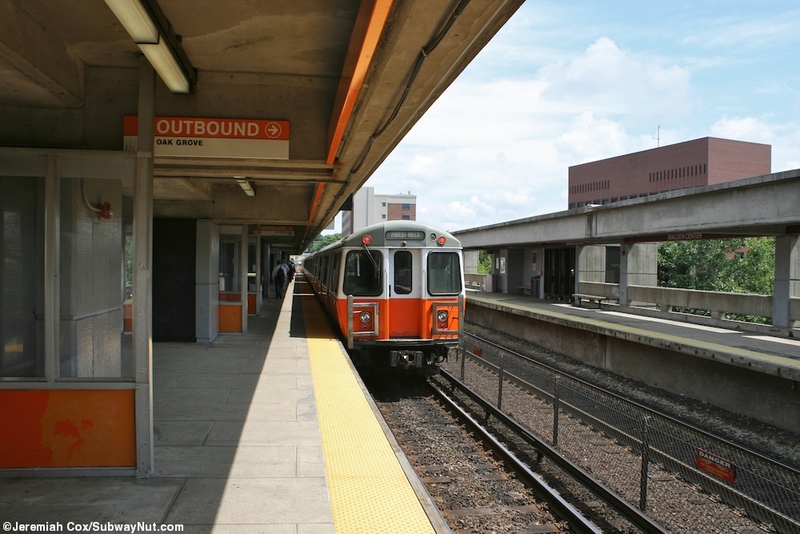 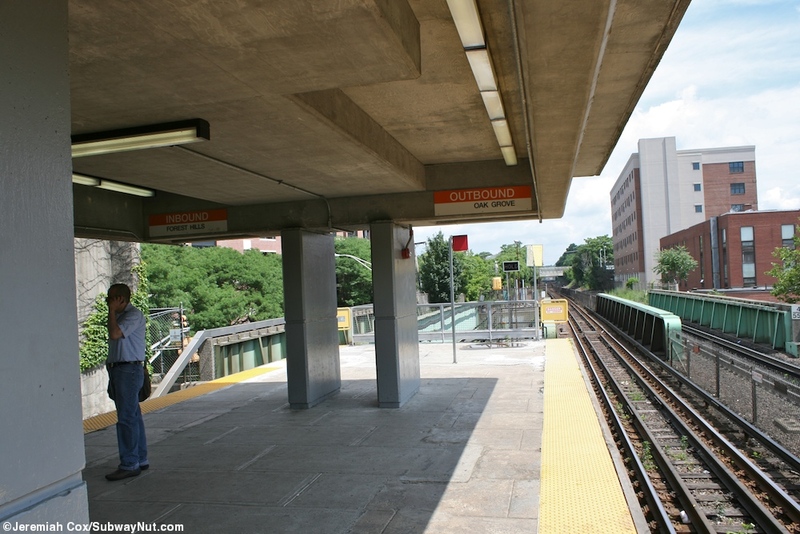 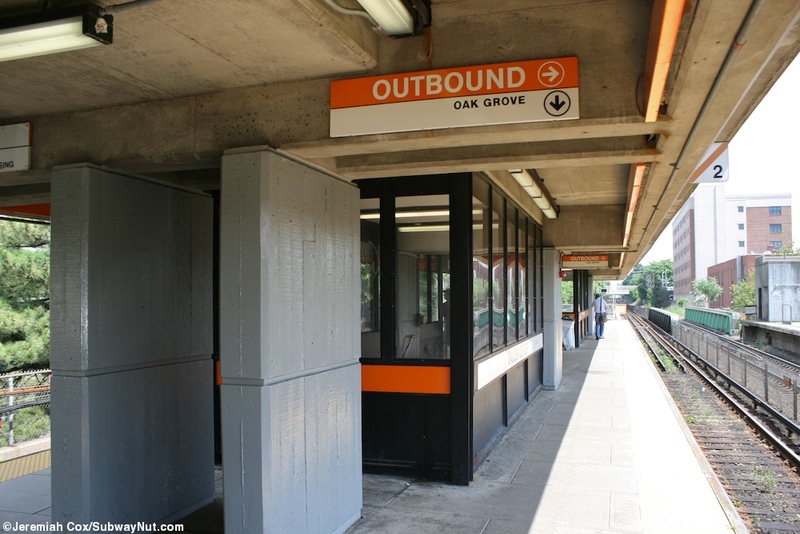 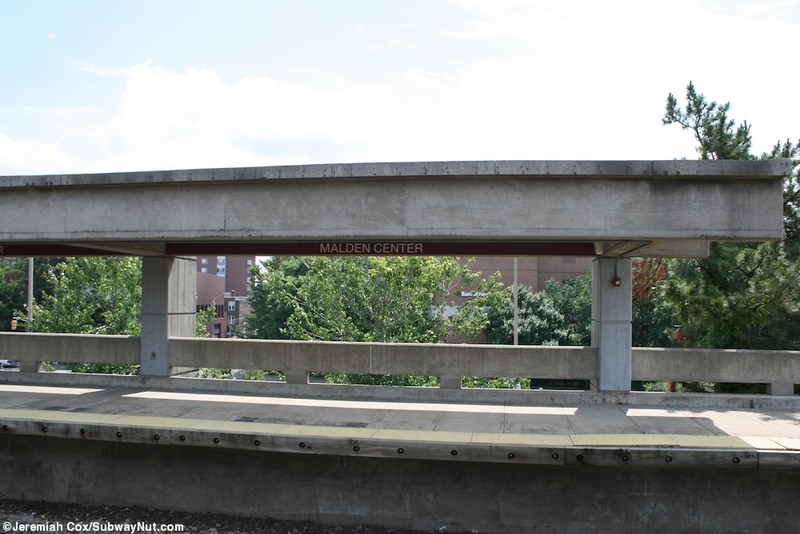 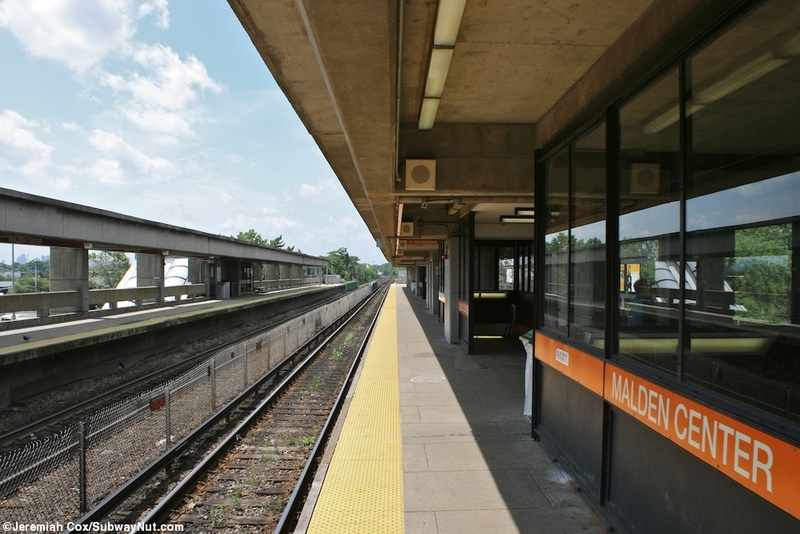 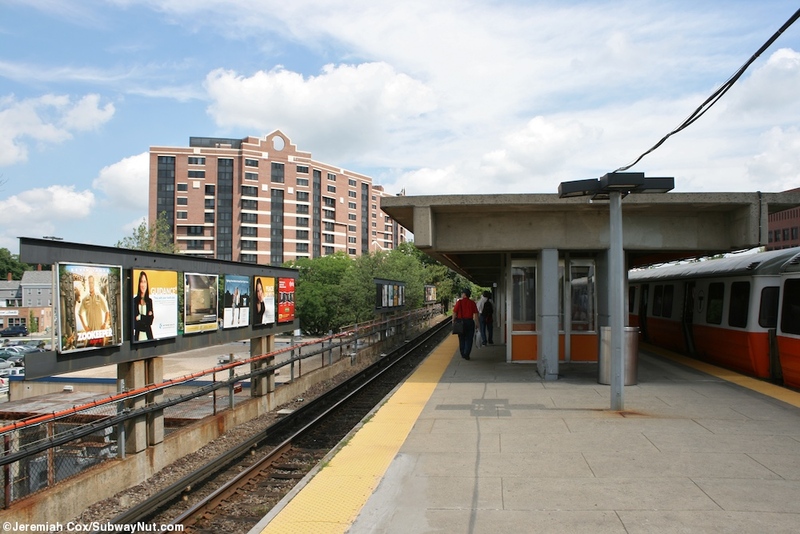 Malden Center is a two-track single island platform Orange Line station, with an additional platform right across from the subway platform for commuter rail, all located on an embankment above local streets. 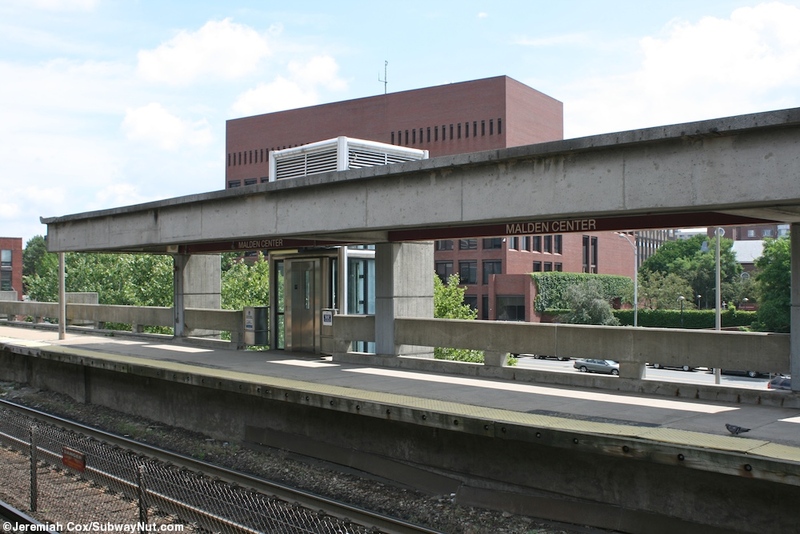 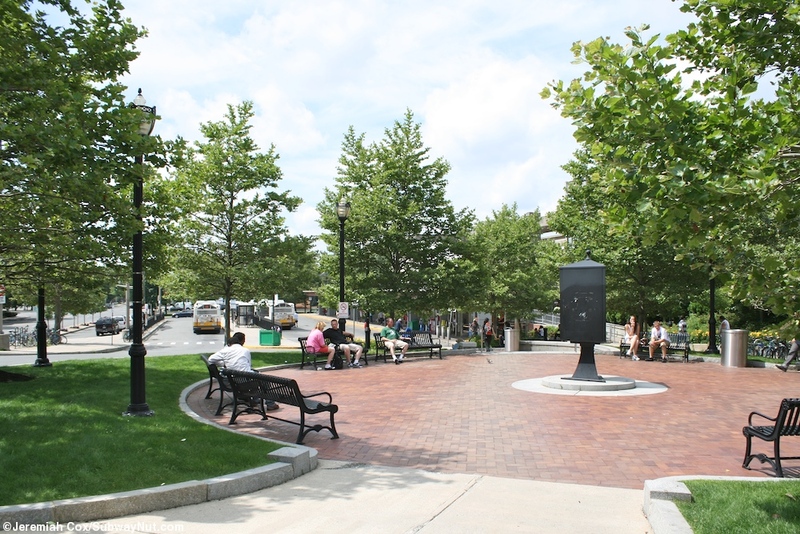 The station is located in a town center type setting but does have some parking. 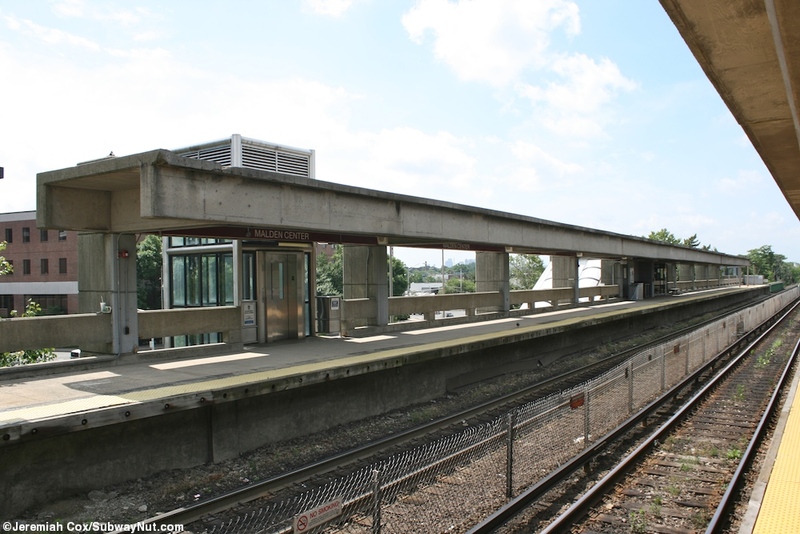 Each platform is exposed at it ends and canopied in its middle section, all bare concrete. 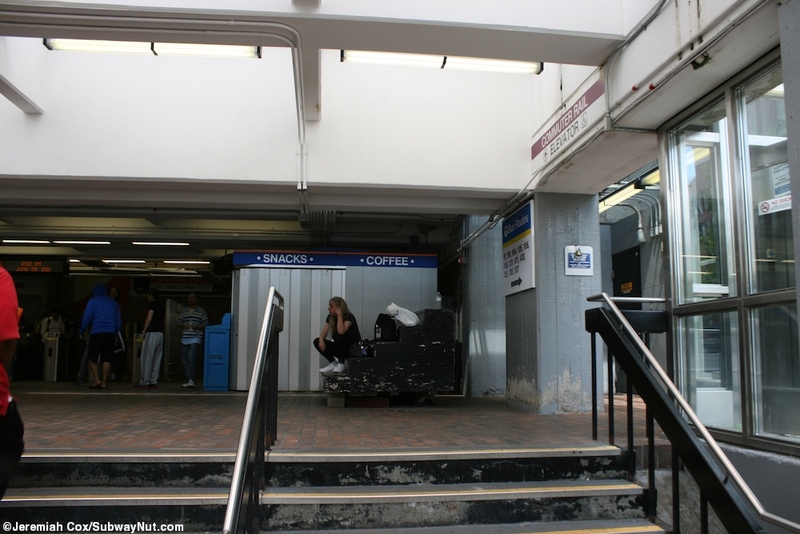 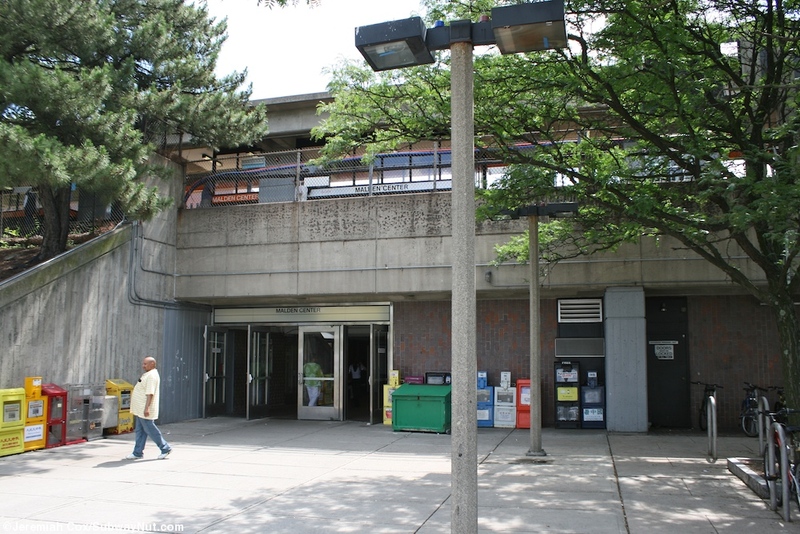 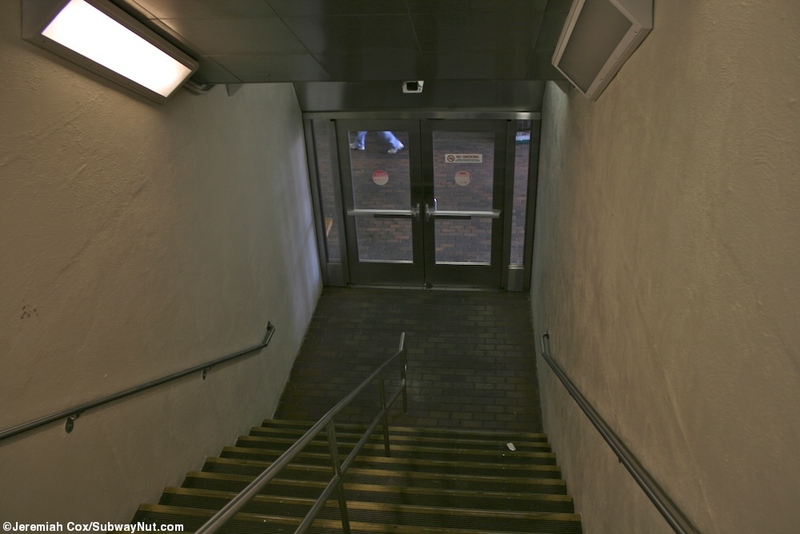 The station has a entrance station area at street level beneath the platforms that has a staircase/up escalator and elevator to a faregates and a staircase that leads down to exit only doors outside of fare control, this mezzanine area also has an elevator and staircase/up escalator to the commuter rail platform and doors out on eitherside to bus loops on both sides of the station for 13 bus lines.